Facing a legal issue is stressful. Choosing the right lawyer to help you can almost be as stressful as handling your legal issue. This blog post is my opinion of the do’s and don’ts of picking a lawyer to help you. Below are 10 tips important to selecting the lawyer that is right for you. Communication and Promptness: I sometimes receive telephone calls from people who have already hired another lawyer and are unhappy because the lawyer is not returning calls and e-mails. With most lawyers you can get a sense of their promptness in the initial telephone conversation, the initial consultation and any follow-up questions you have. For example, if you call to reschedule your consultation and you don’t get called back for 3 business days, that may be a bad sign. Did you meet with a lawyer on a Monday morning and call with a question Monday afternoon? Did it take the lawyer until Friday to call you back? While there are reasonable explanations for delayed return of calls and e-mails, but it could also be a sign that promptly returning telephone calls and e-mails may not be a priority for that lawyer. I strive to return telephone calls and e-mails the same business day or the next business day at the latest. Law Firm Staff: Is the law firm staff courteous and knowledgeable? How does the lawyer use his or her staff? A bankruptcy lawyer is required to spend time with you before a case is filed. When will that be? Some lawyers may meet with you only for the initial consultation and then their support staff handles the case. 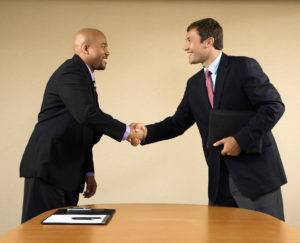 Who will the lawyer meeting you for your creditor’s meeting and/or court hearings be? Will it be another lawyer in the office? Will it be an outside attorney called an ‘appearance attorney?’ These are questions you should ask before hiring a lawyer to make sure you are comfortable with the process. While it is perfectly reasonable for a senior lawyer to have support staff help with a case and for a junior lawyer to make court appearances, for instance, sometimes I talk to people that are angry because they did not understand that multiple staff members would be handling their case. Personality: You’re going to spend a lot of time with the lawyer and the lawyer’s staff. The stressfulness of your situation can be reduced if your personality meshes with your lawyer’s personality. Is the lawyer able to explain things in a manner you can understand? Is the lawyer patient when answering your questions? Depending on how your personality, is the lawyer the right amount of business for you? Is the lawyer the right amount of caring and compassionate for you? A lawyer-client relationship can be a disaster if the client’s personality and the lawyer’s personality clash. There are no specific questions to ask to get a feel for a lawyer’s personality. It is, rather, more a sense of how conformable do you feel sitting down and talking to your lawyer? Practice Areas: What type of work does your lawyer do? Bankruptcy law is a fairly complex set of laws that involve a lot of specific document requirements and very important deadlines. I would caution you to be wary of the one stop shop lawyer. If a lawyer specializes (I use this word to mean lists specific practice areas – in Texas for a lawyer to claim they ‘specialize’ in an area of law you must be board certified) in auto accidents, divorces, bankruptcy, DUI’s, real estate, commercial litigation, oil and gas and real estate law you may want to question how much that lawyer actually knows about bankruptcy or debt defense. It is not uncommon, however, for very good bankruptcy lawyers to practice in other areas as well. Writing wills for clients is a common crossover area for bankruptcy lawyers. Fees and Payment Options: A very good question to ask up front is how your lawyer expects to be paid. What types of payment methods does your lawyer accept? Does the lawyer offer payment plans? In bankruptcy Chapter 7 cases must be paid in full before the case is filed. Some lawyers will let clients pay on a payment plan while others do not. Another good question to ask is how much is hiring the lawyer going to cost you (though it is unlikely the lawyer can answer that question until after a consultation)? While not always the case when hiring a lawyer you may get what you pay for. If you call 10 lawyers and your only question is “how much will this cost” you are not choosing your lawyer wisely. Especially in the world of bankruptcy asking a lawyer ‘how much will you charge me for a Chapter 7 bankruptcy’ when you have only spoken to the lawyer over the telephone is like asking a painter ‘how much will you charge to paint my house’ when the painter has not yet seen your home. Experience: How long has the lawyer you are speaking to been practicing? How long has the lawyer you are speaking to been practicing in your geographical area? Many bankruptcy courts have local rules and customs that may take some time for lawyers to become familiar with. If the lawyer has other lawyers in the firm who will be handling your case, what kind of experience do they have? Reviews and Professional Associations: Does your potential lawyer have reviews online? Reviews may be listed on the lawyer’s website, on AVVO.com (a common site used be lawyers) or on their Google+ page (which should come up when you search for the firm in Google) just to name a few places. You can even ask the lawyer if reviews are available for you to read. In addition to reviews, you may want to research what professional organizations your lawyer belongs to and if the lawyer participates in the groups the lawyer belongs to. This could be through continuing education classes, luncheons or e-mail listervs. Referrals: Probably the best way to find a lawyer in my opinion is by the recommendation of someone you know who has used the lawyer. This is especially true if your friend, family member or colleague had a situation similar to yours. They can explain the lawyer’s personality and give their opinion about how knowledgeable and responsive the lawyer is. Promises or Guarantees of Results: Almost any lawyer who promises you a given result should give you pause. Especially in the area of debt defense and debt settlements. A lawyer cannot guarantee that they can get a debt lawsuit dismissed (this is the judge or jury’s decision). A lawyer cannot guarantee that they can get a debt lawsuit settled for a certain dollar amount (this is the creditor’s decision). Some uncertainties even exist in the practice of bankruptcy. What a lawyer can tell you is what the lawyer believes the likely outcome will be given their experience (and why). I sometimes speak with potential clients who have been sued by credit cards, for example. They may tell me things like “I spoke to another lawyer who guaranteed they can get this lawsuit dismissed” or “I spoke to another lawyer who guaranteed they can settle this debt for ten cents on the dollar.” I encourage these people to request that guarantee in writing, including a promise that if the guaranteed result does not happen that the lawyer will financially compensate the consumer. I often wonder if they ever ask the other lawyers for a written guarantee and how the other lawyers respond to the request. TV and Other Media Ads: While funny videos or tv or radio advertisements that bombard about a lawyer can be tempting but do not stop there. People sometimes equate a television or radio advertisement as convincing evidence that the lawyer must be right for them. Television or radio advertisements are really just an indication that the lawyer has decided to put some of their marketing dollars into that form of media. If you first hear about a lawyer through internet, print, television, radio or other media I would encourage you to do your homework on the lawyer. I am by no means stating that only bad lawyers advertise – for example, I use banner ads on Google. If you have gotten the name of a lawyer or law firm from an advertisement, I encourage you to take the extra step and the properly research the lawyer before hiring the lawyer.